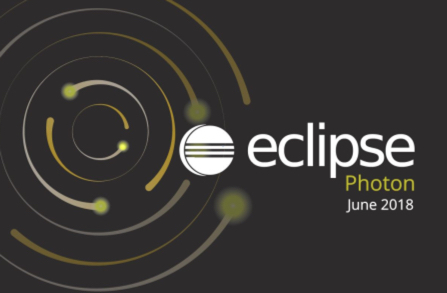 eclipse.org went with a mountain peaks as the website theme for the release of Photon. Fun and fitting. The Eclipse site prompted me about the cookie use policy. Another change since last year, but not unexpected. I like to download and install a fresh Eclipse so I don’t have random plugins I’ve tried throughout the year. I downloaded the installer first which is a nice small, well relatively small, (55MB) file. I choose “Eclipse IDE for Java EE Developers” and an installation folder. This took a few minutes. I saw messages go by about it being slower than usual to download Eclipse plugins from various servers. Presumably because Photon has only been out a few days and lots of people are downloading. I got a prompt from Oomph to accept /plugins/org.eclipse.rse.ui_3.3… as unsigned content. I accepted, but was a little surprised. The significant plugins I chose to re-install are listed in this table. I got a PKIX error. But clicking through it still allowed me to install so I didn’t have to update the certs or anything. Unable to read repository at https://devtools.his.de/tomcatplugin/updatesite/content.xml. This is a known issue. In my case, it was caused by the eclipse.ini automatically picking up my Java 11 early access install. After changing it to point to Java 8, things went better. This allowed it to pick up the cryptography jars and work as expected. Subclipse I trouble with Subversive in Eclipse Oxygen so I switched to Subclipse. I would have needed to switch this year regardless as Subversive is no longer supported. Eclipse Memory Analyzer For finding memory leaks. Freemarker IDE Freemarker syntax highlighting and macro assistance. Unlike with Eclipse Oxygen, this worked on the first install attempt. Bytecode Outline I’ve been looking at bytecode a good fit for the book to make sure I understand why things are happening. This plugin makes it easy. The version number has hex towards the end; maybe the number from github? When searching using open resource/type, exact matches take precedence (vs files you looked at with similar name.) Also, it now shows the path in the workspace regardless of whether the filename is a duplicate. Both are nice usability improvements. The UI changed for the debugger. I like that you can see more variables in the debugger view without having to scroll or resize the window. On Mac, the default font changed from Monaco to Menlo so keywords show in bold instead of just color. This was more of a “change is hard” thing. The first day, I didn’t like the new bolding. I wasn’t used to it so the keywords looked different. By the second day, I was used to it and it was just readable as the original. (I know I could have changed my workspace default back to Monaco if I continued to not like it). Eclipse now supports Rust. I haven’t used it, but Rust is supposed to be an up and coming language. Eclipse supports Java 10 out of the box. Not that interesting because Java 10 came out in March. But good to know that Eclipse is staying current. I imagine there will be an Eclipse 4.8.1a in September or October for Java 11 support since Java 11 comes out in September. Eclipse did this for JUnit 5 so there is definitely precedent. JUnit 5 is included. This doesn’t excite me because I had been using 4.7.1a which also had JUnit 5 support. But if you are upgrading from the release a year ago, it is definitely exciting! Last year, I blogged about how to build Smart Dashboard with Gradle for FRC. Today, a student asked me how to build Motion Profile Generator using gradle. It’s similar, but seemed like a good time to update the post for this specific project. From Eclipse, go to the git perspective, and paste in the URL. Make sure you have internet before running this the first time. If you want to build directly from Eclipse, see my Eclipse Gradle post and skip to the BuildShip section. Where is the output when building SmartDashboard? Add/remove the JRE library as described here to get rid of the Eclipse errors about access restrictions. Hit refresh before looking for it. I don’t care how gradle works, I just want to run the program! Ok now I’m curious, what gets generated? 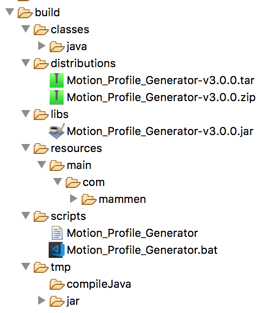 distributions – a zipped up and tarred up version of Motion Profile Generator which includes the jar file, all need dependencies and the script to kick it off. tmp – would you really expect to find something important in a directory named tmp? What does the Gradle build file do? Gradle is a build tool. The build.gradle file in Motion Profile Generator contains Groovy code that declares what the build should do. Both Gradle and Maven follow “convention over configuration” which means that a lot is implied! I went over most (but not all) of this out loud in the classroom. A plugin is like a helper tool that Gradle is going to use in order to build. For example, ‘java’ is going to compile among other things. Most of these plugins are in common use. Gradle needs to download files in order to run. This includes some default plugins. These files are hosted in a repository for binary files. A really common one is Maven Central. This is used by both Maven and Gradle builds to obtain binaries. This build file is really simple. It says that Gradle needs to know how to build a standalone java application. This tells Java to put some information in the manifest. In particular, which class should run automatically when you try to run the jar. It also includes a version number for reference. Remember the convention over configuration thing I mentioned earlier? Convention says the source code is in the nested directories src/main/java. This project decided to put the source code directly in the src directory. Therefore the project needs to inform Gradle of this non-standard location. Next the script specifies that we should create a jar file and an uber jar file including the special files..
// Set up manifest to point the main class to the right class. The end! The very last thing is to declare which version of Gradle this entire script should be run with. I’m including the output from a “good” run in case you have problems and want to compare. This is for the first time you run it. After that the download steps won’t be in the output and it will run much faster. Note: /Users/nyjeanne/git/Motion_Profile_Generator/src/com/mammen/ui/javafx/MainUIController.java uses unchecked or unsafe operations.